It was getting late, and those in vigilance around the Queen's bed left her to the care of her ladies. 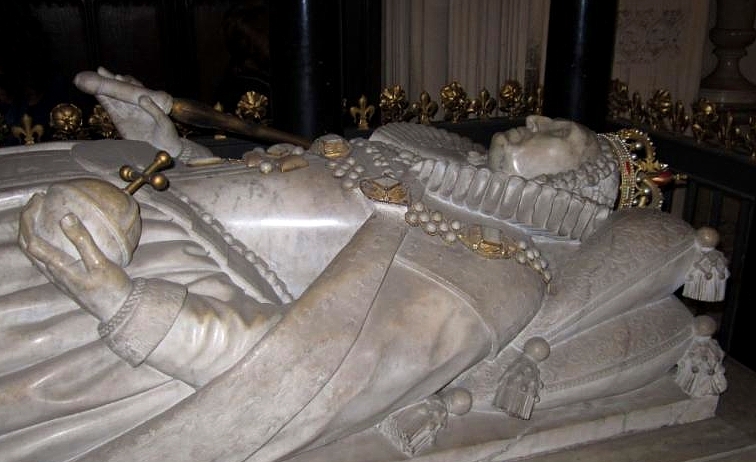 The Queen fell into a deep sleep, and died in the early hours of the 24th of March, 1603. It was a Thursday, the death day of her father, and her sister. It was the eve of the annunciation of the Virgin Mary, perhaps an apt day for the Virgin Queen to die. The Elizabethan calendar was also different to ours, as they still used the Julian calendar - the new year beginning on the 25th of March. 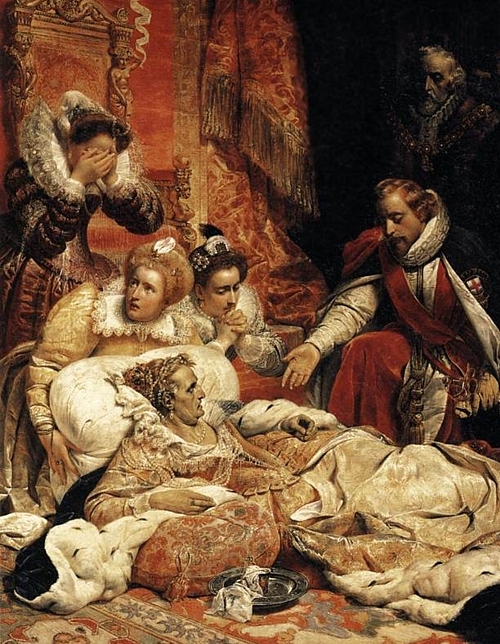 Thus the last day of the year 1602 also saw the last hours of the last Tudor monarch. 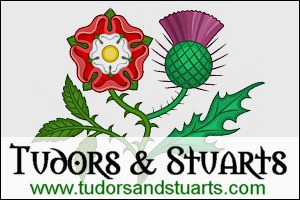 The new year would bring a new reign, that of King James I (James VI of Scotland), a new ruling dynasty (the Stuarts), and a new era in British history. "Westminster was surcharged with multitudes of all sorts of people in their streets, houses, windows, leads and gutters, that came to see the obsequy, and when they beheld her statue lying upon the coffin, there was such a general sighing, groaning and weeping as the like hath not been seen or known in the memory of man, neither doth any history mention any people, time or state to make like lamentation for the death of their sovereign"